The Sierra Club — the same group that once touted the benefits of natural gas as a bridge fuel —released a report recently attacking natural gas as “another filthy fossil fuel,” claiming that if natural gas-fired power plants are built, “America won’t be building a bridge, but rather a superhighway to climate disaster.” There’s one big problem with this line of thinking — based on scientific analysis and facts, it’s, quite frankly, wrong. 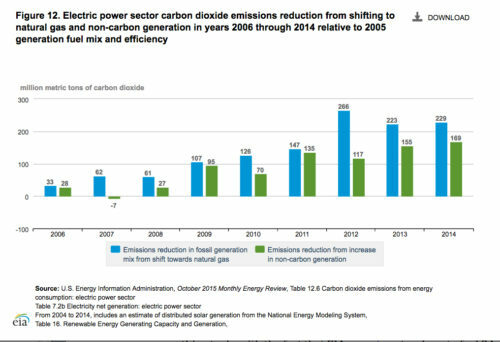 Despite the fact the Sierra Club actually tried to take credit for these GHG reductions in 2015, when CO2 emissions dropped two percent, it actually occurred in large part because of the switch to natural gas in the power sector. 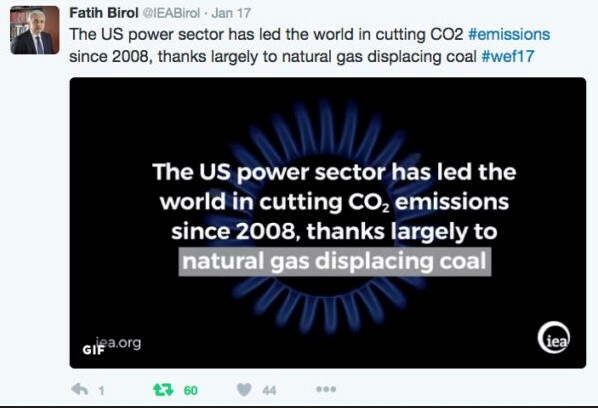 To illustrate this point, the U.S. Energy Information Administration (EIA) reported that between 2006 and 2014, natural gas prevented 1.25 billion metric tons of carbon dioxide from being emitted from power plants in the United States. By comparison, the use of renewable energy has prevented 789 million metric tons of carbon dioxide, according to the EIA. This EIA graphic shows how natural gas has outpaced renewables in terms of CO2 reductions. Energy-related CO2 emissions were 2,530 million metric tons in the first six months of 2016, the lowest levels since 1991. 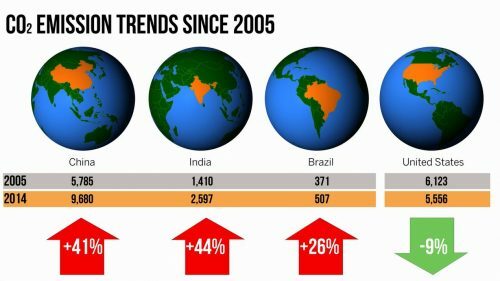 And EIA projected U.S. CO2 emissions would continue to drop to 5.18 billion metric tons in 2016, down more than 1.5 percent from 2015 levels. But the fact remains that study after study has found methane emissions from natural gas infrastructure are well below the 2.7 percent threshold for natural gas to maintain its climate benefits, and EPA data shows that methane emissions have declined since 2005 at the same time natural gas production has skyrocketed. Sierra Club points out in the report that more than half of the new natural-gas fired electricity generation capacity is concentrated in just five states: Texas, Pennsylvania, California, North Carolina and Virginia. Texas and Pennsylvania are the top two natural gas producing states in the country — meaning they each have an abundant supply of the resource in close proximity to meet demand. 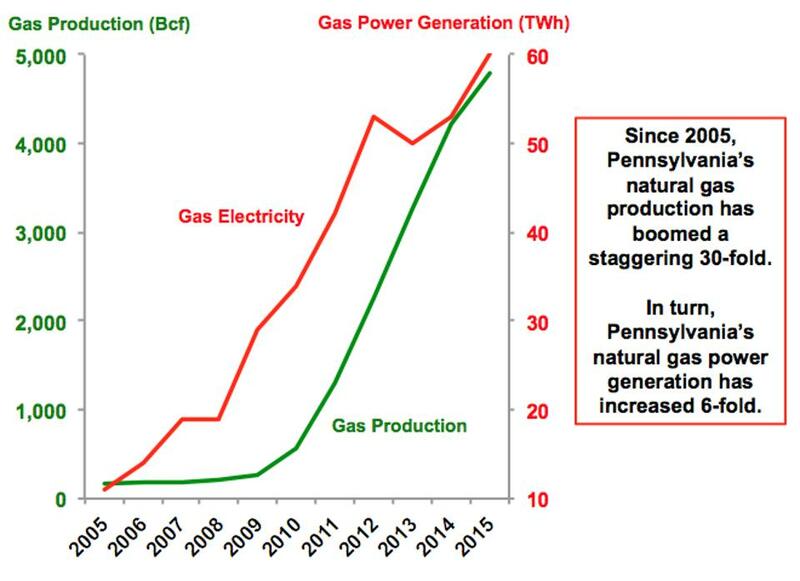 Looking at just Pennsylvania, transitioning to more natural gas facilities was a no brainer when the closure of coal plants actually caused a power shortage in the state, as Forbes reported in April 2016. Now, if that were an accurate depiction of what occurs from shale development and the increased use of infrastructure, one would expect a state like Pennsylvania — which is the second-highest producer of natural gas in the U.S. and has quickly added natural gas-fired electric capacity, pipelines and other infrastructure in the last decade — to be a prime example of this. But it isn’t. 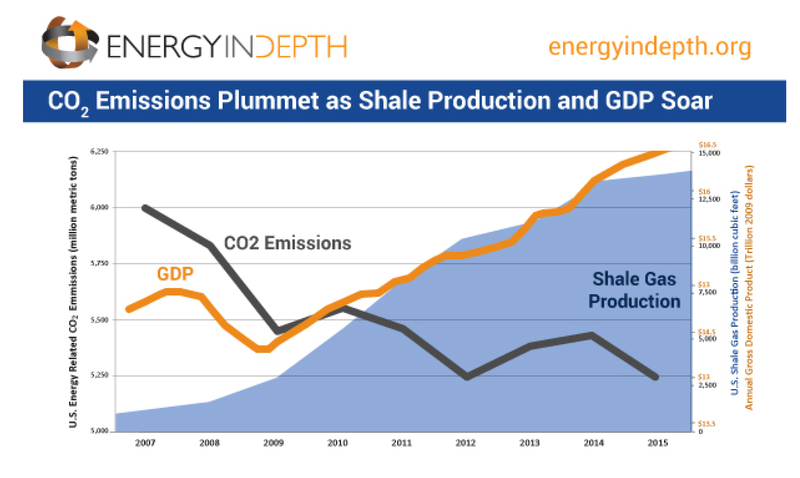 “Pennsylvania’s natural gas boom has had the measurable benefit of lowering total CO2 emissions in the state’s power sector by about 30%, a very important development because it’s absolute emissions that are required to tackle Climate Change. As for unit of electricity produced, Pennsylvania has evolved from emitting about 1,300 pounds of CO2 per MWh in 2005 to just 910 pounds today, another example of why anti-fracking positions make little environmental sense. This 30% reduction in CO2 emissions per MWh over 10 years is actually better progress than what has been experienced in California’s power market, continually cited as EPA’s exemplar for other states to follow (here). Since California first installed its Renewable Portfolio Standard in 2003, the state’s CO2 per MWh has surprisingly stayed at around 630 pounds, even increasing in some years (see EIA data, here). And Pennsylvania has tremendous room for natural gas growth: gas is only about 30% of Pennsylvania’s power generation, compared to over 60% in California. In other words, Pennsylvania is a prime example that gas operations can be made safe for our climate and public health. California, which also tops Sierra Club’s top-five list of states with the largest increase in natural gas-fired power plants, is leading the country in solar generation. And even Pennsylvania has called for 18 percent of all electricity to come from renewable sources by 2021. In fact, as a recent National Bureau of Economic Research working paper pointed out, renewables absolutely must have natural gas as a backup to be a viable energy option, due to the fact that the sun doesn’t always shine and the wind doesn’t always blow. “The findings cast doubt on the ability of the state to eliminate oil, natural gas and coal from its energy supply. The Cornell proposal would require onshore wind turbines covering an area 3.3 times the size of New York City’s five boroughs. In the meantime, natural gas is helping to pave the way for more renewable energy, and lowering emissions at the same time. 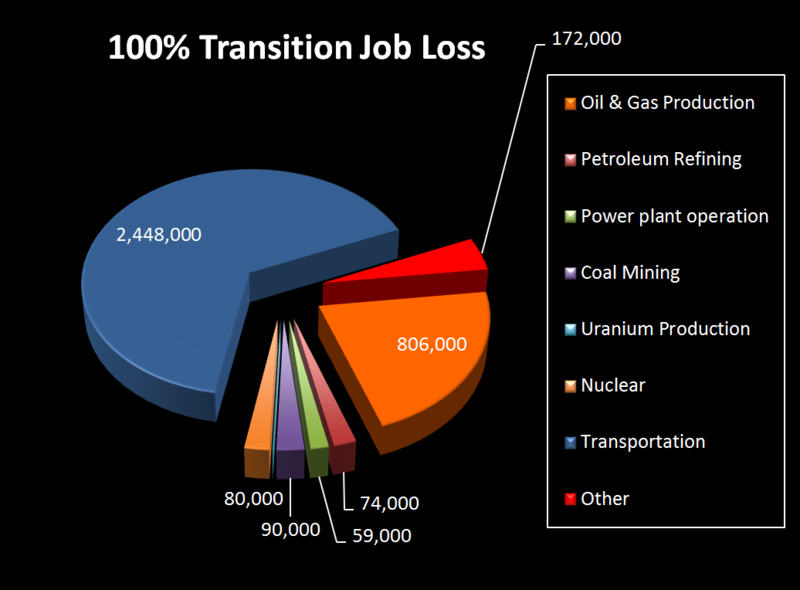 The report closes with a brief discussion on the potential job creation from a 100 percent renewable transition, but in doing so cites a 2015 study that estimated a switch to renewables by 2030 would create roughly 4.3 million direct jobs. While that would be incredible, a review by Energy In Depth found that it would actually result in a net loss of around 1.2 million jobs. When EID questioned the lead author on the data, he actually scrubbed the website removing any data that showed job losses. That’s not to say that there won’t be jobs created in the renewable industry, and that this isn’t already happening — but to completely transition would impact millions of jobs across the country for American workers, especially in the oil and gas industry. Sierra Club is right — we do need to pay attention “to creating union and family-wage jobs.” And these natural gas-fired facilities are doing just that. Take Ohio for example. Though it is not one of the top-five states listed in the report, the Buckey State happens to be where all the U.S. natural gas-fired power plants currently under construction are being built with union labor, creating millions of man-hours throughout the state. Imagine what that will mean in states like Texas, Pennsylvania, California, North Carolina and Virginia, which make up more than half the new capacity being proposed. 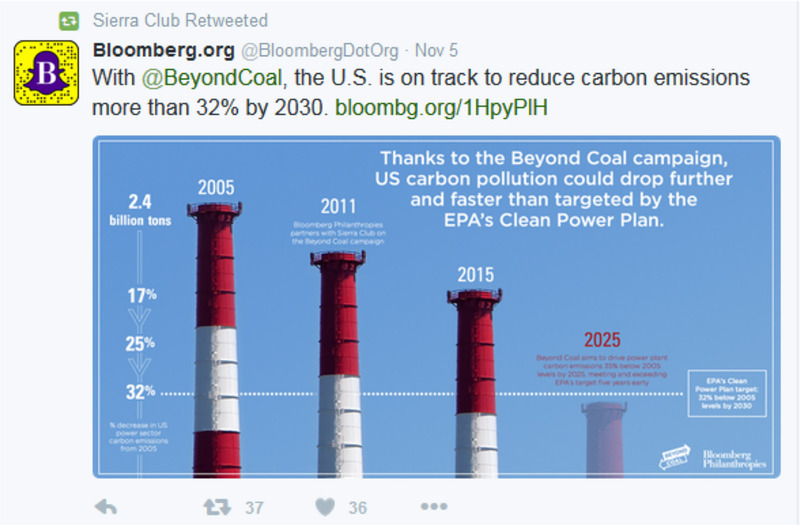 In its effort to “keep it in the ground” when it comes to any and all fossil fuels, Sierra Club has placed ideology ahead of facts and the American consumer that relies on affordable electricity options. The transition to renewable energy does not have to come at the expense of other industries, and a more realistic approach to such a transition does not mean that the environment is being jeopardized. Natural gas has proven that point consistently over the last few years. All this report does is create undo alarm over a crisis that doesn’t exist in order to push this false reality that in order to have renewable energy, there can’t be fossil fuels. That kind of mentality is wrong, and is a disservice to the advancement of diversified energy portfolios.